Elliott Engel (D-NY), the new Chair of the powerful House Foreign Affairs Committee has decided that harassing our President is more important than protecting the nation from terrorism. To that end, he has abolished the Sub-Committee on Anti-Terrorism and replaced it with one that will focus on investigating the President. The reason there wasn’t a clamor among the Democrat members of the committee, was that they have never been able to admit that the root of almost all the terrorism directed against the U.S. has been by Muslim fundamentalists. The Democrats are desperate for relevancy; they have no agenda other than to destroy Trump. Congress isn’t going to “reassert itself”; the Democrats intend to demonstrate that they’re in control. The Trump administration's “questionable” foreign policies are ones the Dems disagree with – even though they’re working. Terry Turchie, the former Deputy Director of the FBI’s Counter-Terrorism Division commented on the Democrats’ foolish move that this committee, and in fact, the entire anti-terrorism community (including his division) has always, by necessity, been bi-partisan. This tradition continued under the Republican-led House until Pelosi, Engel, and their cronies took over all the powerful committees of the House. Turchie insisted that partisan politics don’t work when the government is trying to defend the nation against terrorism. Hiding our heads in the sand and pretending that terrorism is no longer an issue fits the Democrat narrative, but the threat is still real. When Turchie was asked if the nation is safer since 9/11, he made it clear that the threat has increased rather than diminishing. Our porous borders were a threat to national security. Failing nation states would attempt to assert themselves and appear relevant by attacking the United States (the “Great Satan”, according to the Muslim preachers). The United States would suffer one or more massive terrorist attacks resulting in the deaths of thousands. Less than two years later, all those predictions became reality. Following the massive attacks on the Pentagon and the World Trade Towers, the bi-partisan 9-11 Commission was formed. Although many believe that it did not go far enough, its prime conclusions have also proven correct. Lack of communication between intelligence agencies and between local and federal police contributed to the ability of the Islamic terrorists to carry out their cowardly attacks. FISA Court abuse was a problem due to lack of oversight and the ability of partisans with their own agendas to manipulate the FISA Court judges. Illegal immigration and lack of border control threatened our national security. It’s hard enough to get to the truth using bi-partisan mechanisms, as the two examples Turchie gave demonstrate. It is impossible when one party controls both the mechanism and the narrative for its own selfish reasons. You may well ask, “Didn’t the Republicans control the House for the last two years?” Yes, they did. And although many of them had less than sterling characters, in general, the goal of the Republican-led House was the business of the people. The Democrats, in contrast, are motivated by their blind, unreasoning hatred of President Trump. On the Democrats' very first day in control of the House, Rep. Brad Sherman reintroduced articles of impeachment articles that he had first filed in 2017. Earlier this week, Liberals leaked information to the far-left New York Times, which published an article titled, “F.B.I. Opened Inquiry into Whether Trump Was Secretly Working on Behalf of Russia.” You have to read all the way to the end of the long, convoluted article to realize that nothing at all resulted from the “inquiry.” It was instituted by disgruntled FBI agents upset because Trump had fired FBI Director James Comey. But most people won't read the article. They will just remember the title. Pelosi has said, in spite of all evidence to the contrary and over two hundred years of precedent, that she believes it is possible to indict a sitting president. Every Justice Department since the nation has had a Justice Department has said that would not be constitutional, and that it would cause irreparable harm to the nation because the president would not be able to function in his office. But Nancy has never been one to allow facts to interfere with her opinions. Numerous Democrats have called for the impeachment of the President, although they don’t seem to know what crime he has committed that would qualify as “high crimes and misdemeanors” as required by the Constitution. And Democrat Congressman Adam Schiff, the new chairman of the House Intelligence Committee has stated that “…there's a very real prospect that on the day Donald Trump leaves office, the Justice Department may indict him. 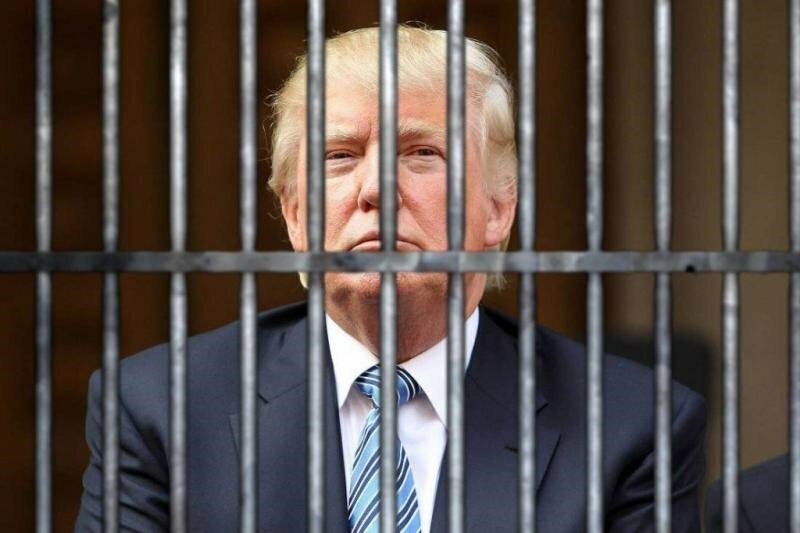 That he may be the first president in quite some time to face the real prospect of jail time." I have spent the last two and a half years trying to understand this bizarre, pathological hatred of our President, and what crime they think he has committed. I have solved the mystery. Donald J. Trump’s crime is that he was elected president. For that, nothing he does can ever make amends. To them, it is the unforgivable sin.